Dentistry By Design Providing Excellent, Personalized Care and Service for Over 30 Years. WE SPECIALIZE IN RENEWING SMILES! 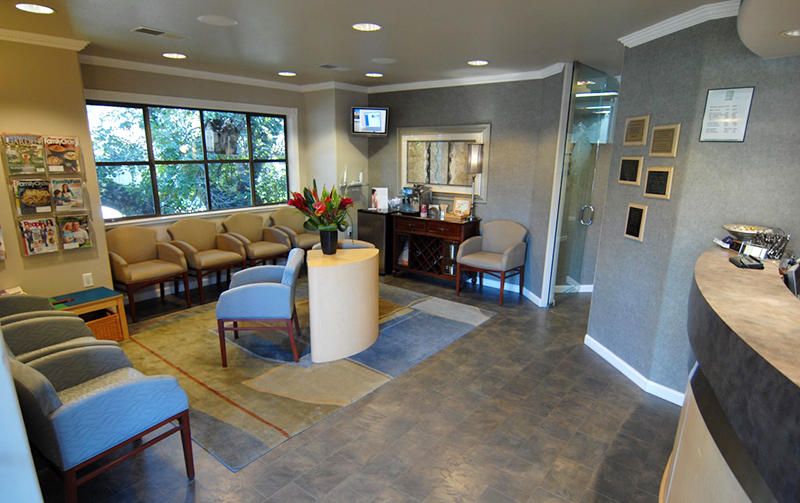 WELCOME to Dentistry by Design of Marin, a friendly dental practice devoted to restoring and enhancing the natural beauty of your smile using conservative, state-of-the-art procedures that will result in beautiful, long lasting smiles! When you visit our office, your safety and comfort are our top priority. Our entire team is dedicated to providing you with the personalized, gentle care that you deserve. Get the facts about how the health of your mouth, teeth and gums can affect your general health. "The staff, from the dentist to the front desk are very friendly and professional. I recommend both dentists often." "Amazing Staff. First time in my life that I enjoy going to a Dentist. Keep up the good work." "A neighbor recommended Dr. Rosenthal nine years ago when I first moved to California. I've never had a better dentist in my 65 years. Everything that needed to be done was done perfectly, painlessly, and professionally. ..."
"Everything about my visit was wonderful.. Being welcomed by Kathy and then having an informative, educational,and very friendly appointment with Mary S. made my visit and appointment amazing. I left with a huge smile and am still smiling. Chris was very helpful and friendly with appointment accessing. "Fabulous. I drive 35 miles to get there. I actually look forward to going to the dentist." "Dr. Anand is an excellent dentist.!! I have been a patient of Dentistry By Design of Marin for 18 years and I have always received excellent care, The entire staff is efficient, friendly and provides excellent service." "Mary is awesome and so thorough and explains everything. Dr. Anand is great, very nice and puts nervous patients at ease, which I appreciate!" We are centrally located in Marin County in lovely downtown Novato. © 2019 Dentistry By Design of Marin. All Photography by Dr. Michael L. Rosenthal, DDS.